College is a time for fresh starts and new beginnings, so it makes sense that there’s a lot of new items to purchase and pack before the big sendoff. Check off our list of essentials and you’ll be glad there’s one less thing to worry about come move-in weekend. Outfits – It’s easy to pack too many clothes, especially considering limited closet space in dorms. Plan on packing two weeks worth of the current season, and swap out after the semester changes if possible. Extra socks and underwear – Laundry won’t be the highest priority, so make sure you have enough of the essentials. Pajamas – Keep in mind you’ll want the modest kind that can be worn around the dorm. Athletic wear – Take advantage of the recreational facilities. Excellent walking shoes – Consider getting two pairs. Dress shoes – Heels for young women and nice, close-toed shoes for men. Rain boots – Not essential, but nice to have for rainy days on campus. Rain poncho or coat with hood – Essential. Throw in an umbrella as well. Coats – At least one heavy and one medium weight, depending on the climate. Professional attire – For meetings, dinners and interviews where it’s important to dress to impress. Semi-formal wear – Don’t buy anything new just yet, but if you’ve got a dress or suit already, it might come in handy for a sorority dance or other formal occasion. Belts – Other accessories like scarfs and hats can also come in handy. Jewelry – Avoid bringing anything that’s absolutely irreplaceable. Swimsuit – Even if you don’t foresee yourself needing it, it doesn’t hurt to have one handy. Travel sewing kit – For the occasional loose button. Make sure it also includes safety pins. Bedbug-proof mattress cover – Ah, the joys of communal living. Comforter or duvet – Think about the changing seasons and how many layers you like to stay warm/cool. Foam topper – For extra comfort! Twin XL sheet set – XL is the size most commonly required for dorm beds. Bring two if you’re not OK with the mattress being bare while laundry is being done. Under bed storage containers – You may also need risers to lift the bed so these will fit underneath. Twin XL bed skirt – To hide the under-bed storage. Ear plugs and sleeping mask – Especially for a light sleeper. Plastic hamper – For the dorm/apartment closet. Mesh laundry bag – The easiest way to bring clothes to and from the laundry room. Coins for washer/dryer – Particularly if you’re living off campus and need to use an apartment laundry room or laundry mat. Wrinkle remover spray – If you’d rather not send an iron and ironing board. Drying rack – They don’t take up much room when folded. An over-the-door option might also be useful if floor space is tight. Laundry detergent – Those little biodegradable packs make things easy. Lingerie bag – For delicates. Bleach pen/stain remover – Keep one handy for when accidents inevitably happen. All-purpose cleaner – In a spray bottle. Handheld vacuum – A pricier item, but you know it will be useful. Dusting cloth – A reusable, washable cloth is perfect for this. Towels – Three sets – washcloth, bath, hand — and a beach towel. Bathrobe – For the modest who don’t want to walk around in a towel. Shower shoes – Flip-flops are a good option. Shower essentials – Fill a plastic caddy with body wash and/or bar soap, shampoo/conditioner, face wash and razors. Hygiene essentials - Toothbrush/toothpaste, dental floss, deodorant, makeup, moisturizer/sunscreen, comb and brush. Hair dryer – Plus any other styling tools like a hair straightener or curling iron. Glasses – Don’t forget contacts and contact lens solution. A back-up contact case isn’t a bad idea, either. Prescription medications – Bring any information needed to transfer prescriptions to a campus or nearby pharmacy. First Aid Kit – Band-Aids, pain reliever, antibiotic ointment, decongestant. Paper products - Notebooks, notebook paper, printer paper, index cards. Organization – Folders, three-ring binders, planner, Post-it notes. Writing implements - Pens, pencils, highlighters, Sharpies, pencil sharpener, rubber bands and paper clips. Miscellaneous - Stapler and staples, staple remover, scissors, hole punch, ruler, tape and glue stick. Calculator – You’ll need a graphing calculator for anything beyond the most basic math course. Stamps/stationery – For writing formal thank you notes. Desk lamp – Overhead dorm lighting is usually insufficient. Alarm clock – In lieu of, or in addition to, a cell phone alarm. Over-the-door organizers – For shoes or extra clothes. Hangers – The space-saving slim, velvety kind could be worth the investment. Folding chair – The kind you can fold up and carry over your shoulder may prove useful. Framed photos – Hey, you never know. You might actually miss your parents or pesky younger sibling, after all. Dry erase board – Bring extra markers and magnets to post notes. Wastebasket – Some dorm rooms come furnished with just one tiny trashcan. Lap desk – Great for doing homework in bed. Computer essentials – Laptop, cables/charger, mouse, flash drive. Printer and ink cartridge – If the school printers aren’t convenient or you want another option. Docking station with small speakers – For playing music. Headphones – Try noise-cancelling ones to really focus and ear buds for more portability. Microwave and mini-fridge – It’s ideal if you can arrange for roommates to bring one or the other. Toaster oven – You can cook almost anything in a toaster oven. Check dorm rules if these are permitted. Cooking/eating supplies - Oven mitt, can/bottle opener, large mug, plates, bowl, spoon, fork, knife, paper plates, plastic food containers, plastic bags in variety of sizes. Easy food options - Instant soup, macaroni and cheese, oatmeal packets, granola bars and other non-perishable snacks, microwave popcorn, favorite condiments, peanut butter and jelly. Drink supplies - Coffee, tea, hot chocolate packets. 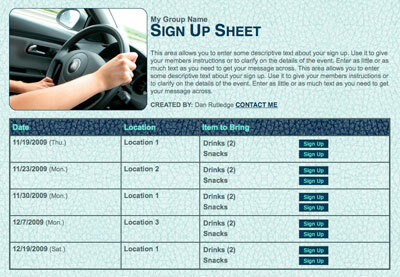 Essentials - Driver’s license, student ID, health insurance card, car registration/insurance card, debit/credit cards. Checks – You might be surprised where you’ll still need these. 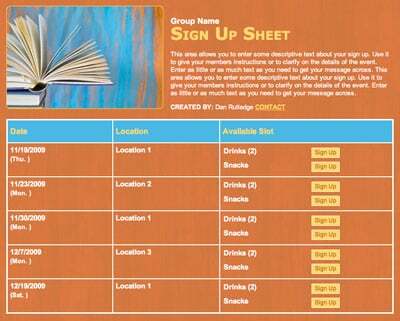 Emergency contact list – Bring a hard copy just in case. Social security and/or birth certificate – These might be necessary if you plan to apply for a job while at school. Consider just sending copies, and make sure those are kept in a secure place. Backpack – Invest in a good one! Luggage – A set of soft-sided luggage is a great gift for a freshman. Bike – You’ll also need a bike helmet and lock. Safety whistle – The keychain kind is handy. A dorm safe – For personal papers and valuables. Basic toolkit – With small screwdrivers, hammers, etc. 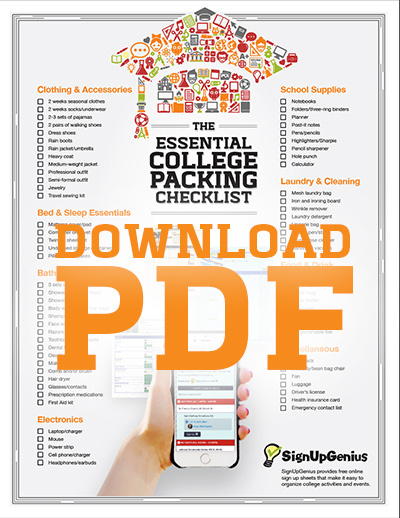 Be prepared for the college journey by checking off the items on this list as soon as possible. And remember, anything you forget to pack can probably be purchased on a quick trip to the nearest big box store in a college town. Good luck! Awesome! Hope I don't lose this idea for a year from now when my daughter gets ready to go off to college! 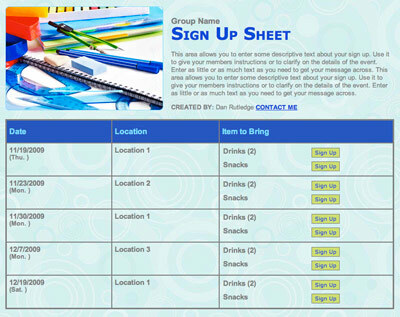 Organize dorm meetings with an online sign up!